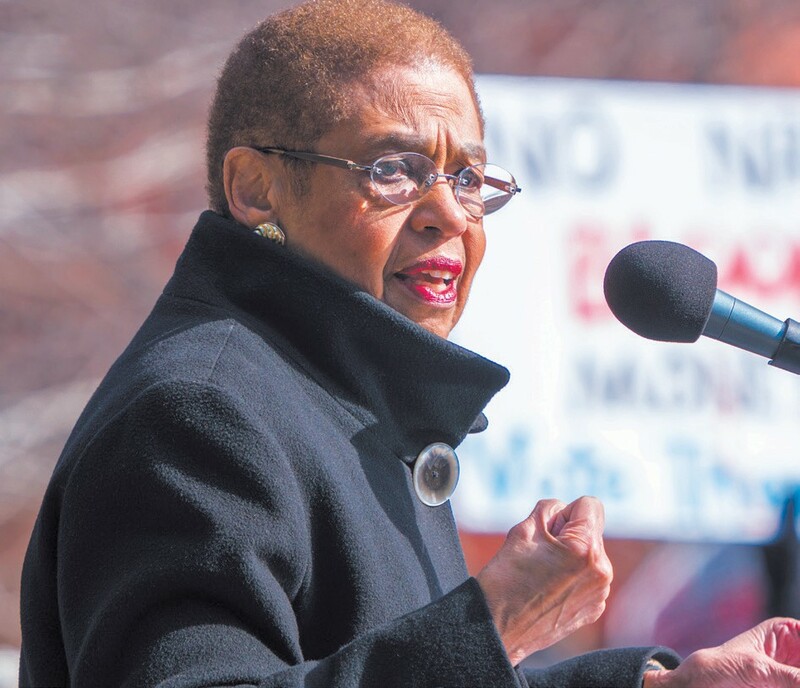 Legendary and longtime D.C. Congresswoman Eleanor Holmes Norton is hoping to accomplish what may not have been possible during the last Congress. Norton, who is in her 28th year in Congress, plans to reintroduce H.R. 7215 which would require all government agencies to report on expenditures for contracts for advertisement and other purposes. Her spokesman Benjamin Fritsch said this week that Norton would roll out the resolution soon. She first introduced it last fall and it was referred to the House Committee on Budget but the 115th Congress then went into recess. The new Democratic controlled 116th Congress should afford Nor- ton the opportunity to push through her resolution and perhaps gain a voting-member’s support to enact legislation. Because she’s a D.C. delegate, Norton doesn’t enjoy full voting rights and isn’t permitted to vote on final legislation. Still, her impact on Congress has resonated for nearly three decades and, at a 2016 Black Press Week event, Norton stood with leaders of the National Newspaper Publishers Association and the National Association of Hispanic Publications to call for a federal report on advertising spending by government agencies with minority-owned media. Because of her relentless pursuit, Norton was able to obtain a new Government Accountability Office report that concluded that, of the $5 billion spent on advertising by federal agencies over the past decade, just $50 million went to Black-owned businesses. The report didn’t detail how much of the $50 million went to Black newspaper owners, only that they were included among all black businesses. “The federal government is the largest advertiser in the United States, and it has an obligation to ensure fair access to its contracts for minority and women owned newspapers and media companies,” Norton said.